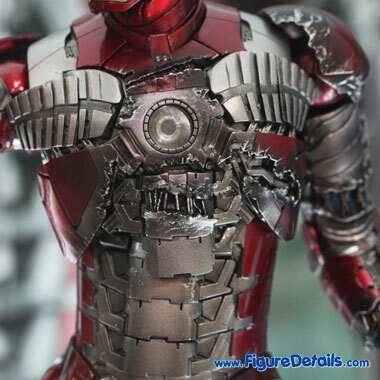 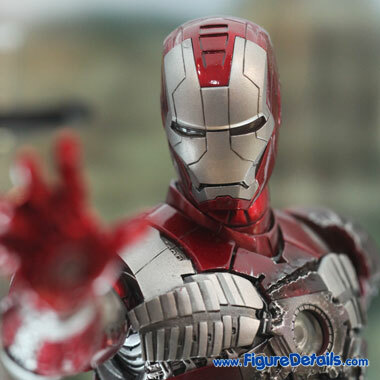 - Fully realized action figure likeness as Mark V in the movie Iron Man 2. 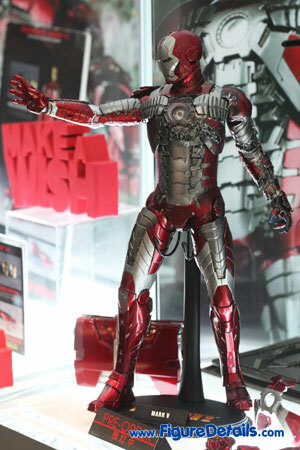 - Newly developed Iron Man Mark V suit with interchangeable battle damaged left arm and chest armor. 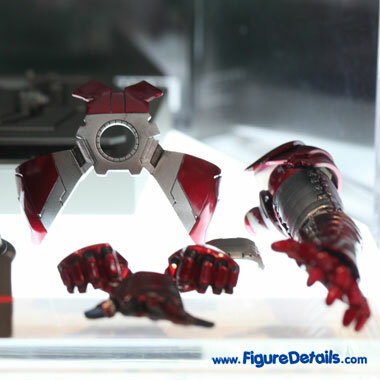 - Three pair of interchangeable palms including one pair of palms with movable fingers. 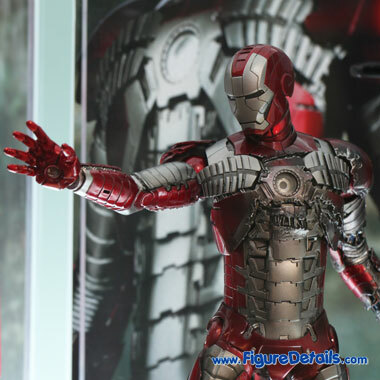 Here I show you the photos of Iron Man Mark V Limited Edition Action Figure that is now displaying in the Hot Toys store. 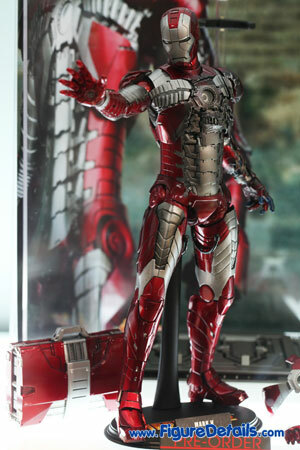 When I first look at this figure, I know this is the one I can’t miss. 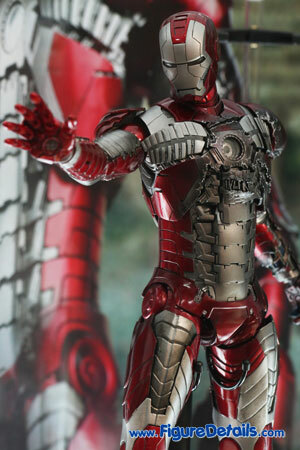 I think Hot Toys did a very good job on the sculpture of Mark V armor. 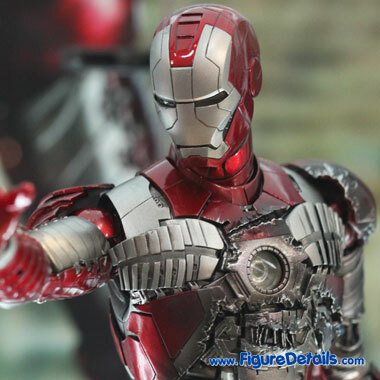 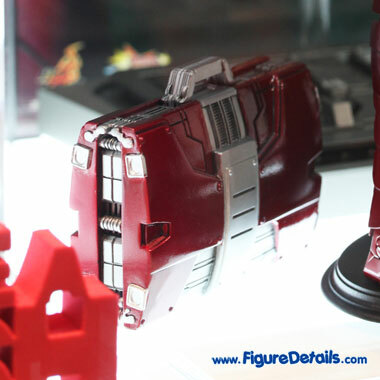 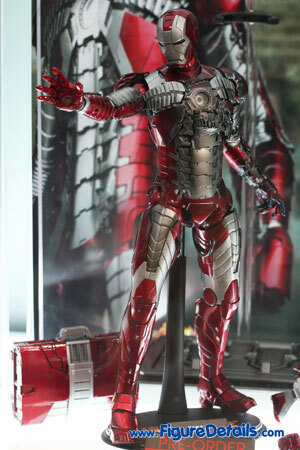 Interchangeable battle damaged left arm and chest armor let you have 2 versions (normal and damaged) of Iron Man Mark V. It also comes with metallic red suitcase that is fully realized as the one in movie Iron Man 2. 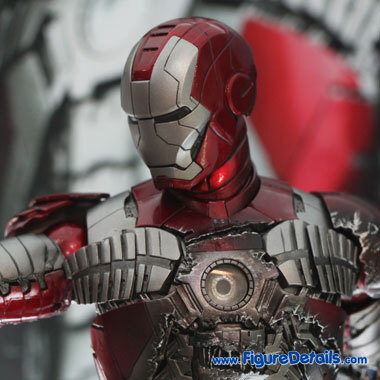 One more thing, Iron Man Mark V comes with one additional square-shaped figure stand that is same as the one in Iron Man Mark 4.